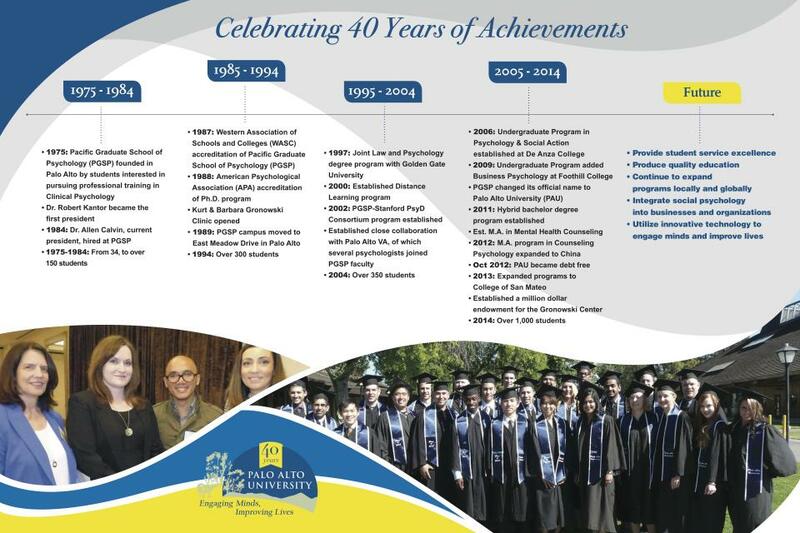 To celebrate 40 years of Engaging Minds and Improving Lives, Palo Alto University (PAU) will be hosting a variety of exciting events throughout 2015. Bring friends and family- all are welcome to join the PAU success story. Commemorate the HEED award from the publication Insight Into Diversity. Celebrate PAU authors at the College of San Mateo. Join PAU at the Computer History Museum in Mountain View to commemorate 40 years of achievement with live music and an international food festival.